Begging can’t be easy. It takes will-power and a resilience no rejection can break. Patience. A certain amount of acting. And in Cubao, the Philippines, the physical strength to jump on and off jeepneys (open buses), to push through crowds, to run from trouble. The rewards are high: money and survival, so you can see why children, especially, might feel proud to beg. 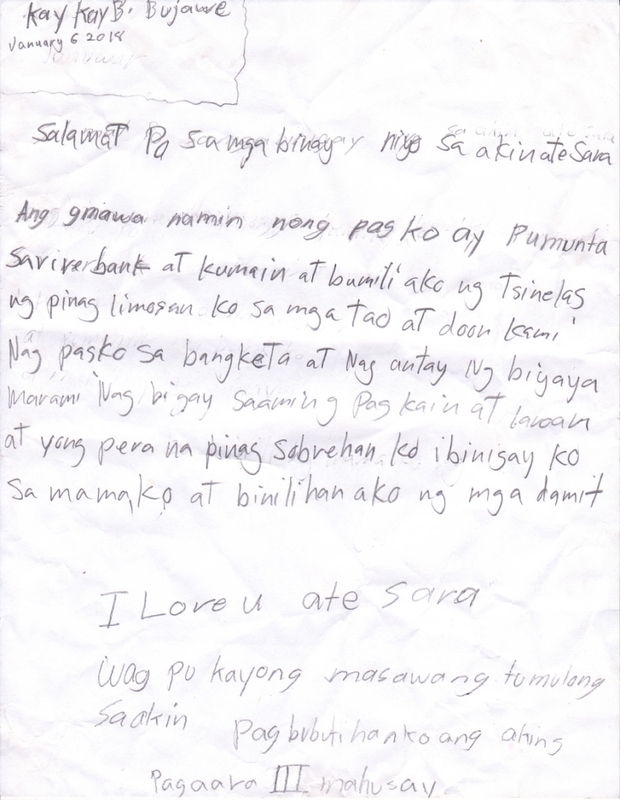 Lift the Lid received an anonymous donation to The School in a Cart in Cubao, the Philippines, and as always we show our appreciation with a student’s letter, personal essay or poem. Today we have a personal essay from Alexis, or as her friends call her, Kaykay. She describes how she spent Christmas, giving gifts, eating a special meal, and begging. Kaykay does not complain or talk about her shame, rather we see how begging has become a past-time, a means to an income for herself and her family, and perhaps even something she can feel proud of. Our partners at The School in a Cart, the teachers and caregivers, discourage begging. They reward the children who resist the practice for going to school and doing their homework by taking them on field trips or out for special dinners. 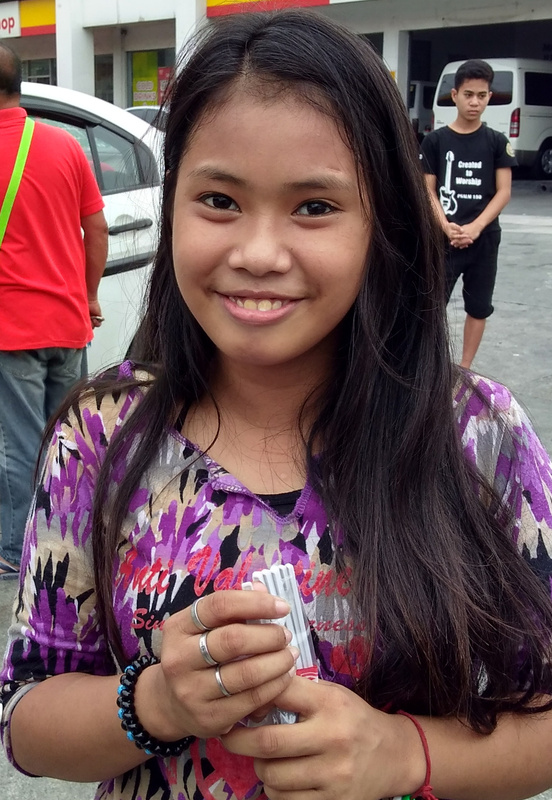 They warn of the dangers interacting with strangers, jumping the jeepneys, and traveling out of their neighborhood. But, still, it’s clear that Kaykay does not feel remorse for her actions. It’s an understandable, yet sad, truth. We will continue to discourage begging, to encourage school, books, play time, music and prayer. We will continue to love and protect these beautiful children, who have an abundance of will-power, resilience, patience, and hope for life. 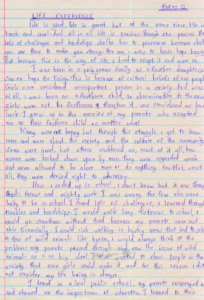 Lift the Lid sponsored its Fifth Annual Writing Competition at Lenana Girls’ High School in Kitale, Kenya and we are so excited to share the results. Every year we receive more submissions, and though the quality of writing varies depending on the age and experience of the students, we have set a tone within the competition whereby they aspire to honest and brave writing. 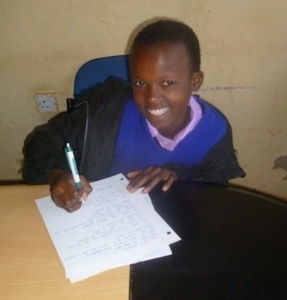 The young women at Lenana are finding the courage and determination within themselves to write from their hearts. We can teach them to edit and rewrite their words for clarity and accuracy, but finding that music within themselves takes letting go of everything else . . . and is at the core of good writing. Congratulations to Abigael Nyongesa for placing First! 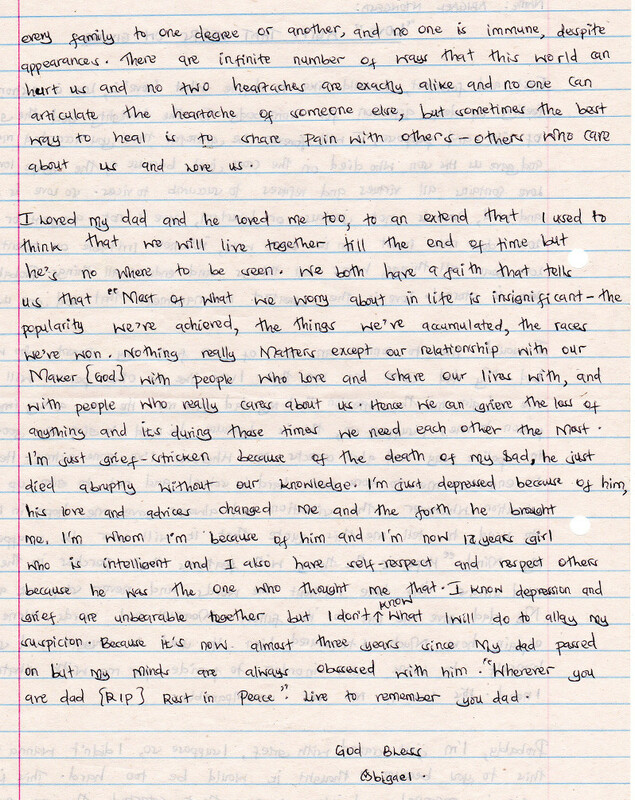 Her essay about her father’s love and trying to go on after his sudden death speaks humbly and honestly to anyone who has experienced grief. As part of the annual competition, Lift the Lid offers the students writing tips and encouragement. 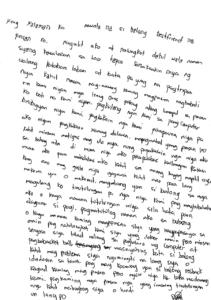 We also highlight what we feel is each student’s strongest sentence. Here are the chosen sentences of our 2017 Finalists. One sentence can hold the impact of an entire essay. One sentence can show a writer her worth. 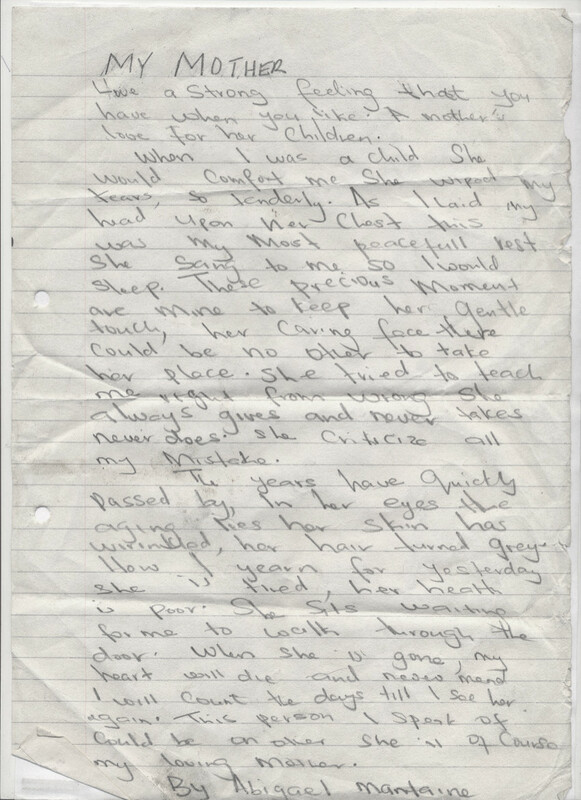 First Place winner Abigael Nyongesa writes, “There are infinite number of ways that this world can hurt us and no two heartaches are exactly alike and no one can articulate the heartache of someone else, but sometimes the best way to heal is to share pain with others–others who care about us and love us.” Her full essay is below! 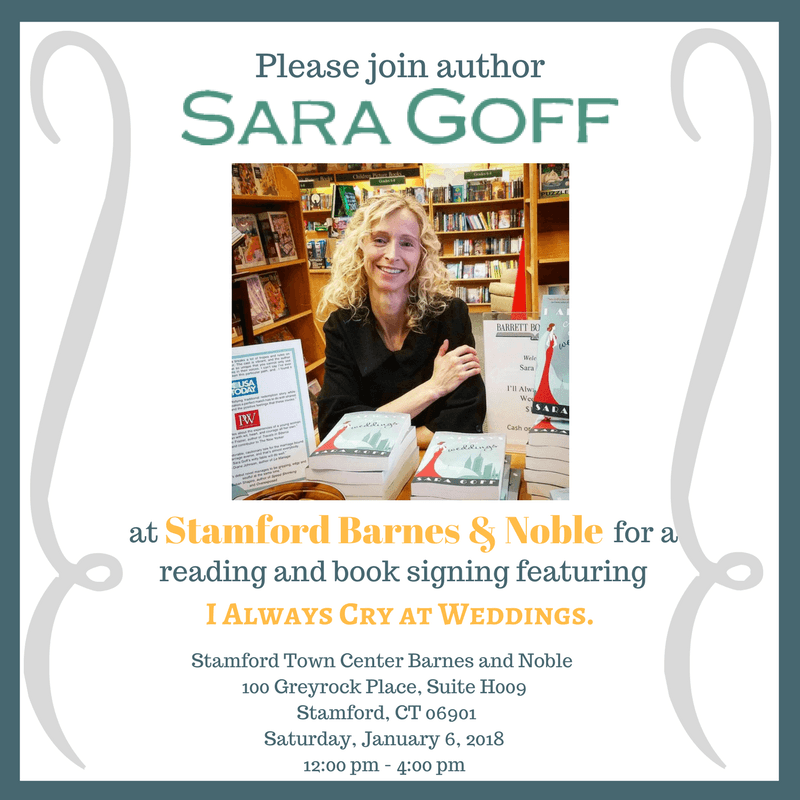 Sara Goff to Read Novel, Sign Books at Stamford Barnes and Noble Proceeds from I Always Cry at Weddings benefit an educational charity founded by Goff. 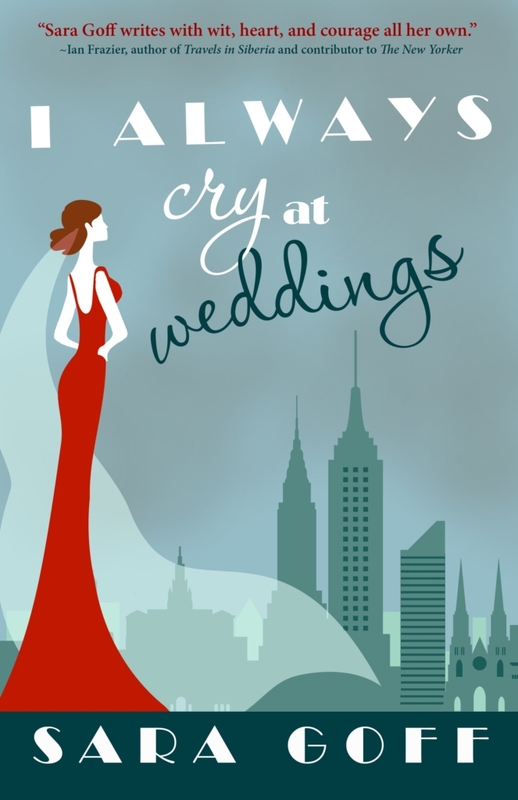 Westport, CT – December 8, 2017 – Author Sara Goff will read from her debut novel I Always Cry at Weddings and sign copies at the Stamford Town Center Barnes and Noble (100 Greyrock Place, Suite H009, Stamford, CT 06901) on Saturday, January 6, 2018 at 12:00 pm ET. According to USA Today, "The cast is vibrant, and the author describes every character as so unique that you cannot only see them, but hear the inflections in their voices." Proceeds from the New York love story benefit Lift the Lid, a 501(c)(3) educational charity founded by Goff to support underprivileged schools and to work with students to explore self-expression through writing. Goff resides in Connecticut with her Swedish husband and their two sons. Sara Goff Signing & Reading Barnes and Noble Stamford Town Center (100 GreyrockPlace, Suite H009, Stamford, CT 06901) Saturday, January 6, 2018 from 12:00 pm – 4:00 pm ET Connecticut-based author Sara Goff will sign copies of and read an excerpt from her debut novel I Always Cry at Weddings. 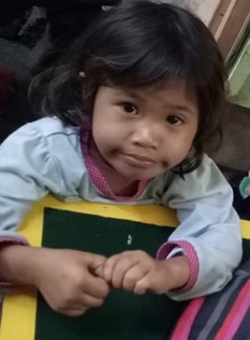 Sunshine, photographed below, and many of the children at The School in a Cart in Cubao, the Philippines, have written letters to their friend Dave, who was murdered in his sleep on the city streets this past May. 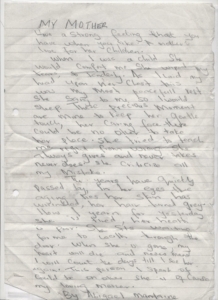 Their letters express their sorrow, their confusion and disbelief, their anger and guilt, and their faith that Dave lives on in spirit and can read their letters or at least know what is written on their hearts. So, why do we write to the dead? Saying good-bye is ingrained in our daily human existence, across all cultures, whether to the dead or to family members when we step out to do some shopping. We feel incomplete, shaken, panicked even, if we leave someone we love for an extended period of time without saying good-bye, without an embrace or a kiss. We need that closure and the comfort that comes from a sense of connection despite distance. Yes, even if that person has died. But is a letter to the dead purely for ourselves as we work through our grief and long for closure? Maybe not. Most letters to the dead are written as if in conversation, as if the diseased were right there, reading them over our shoulders. Our words come from our hearts, and whether we believe in the after-life or not, our hearts tell us that love transcends time, matter, and is ever-lasting. 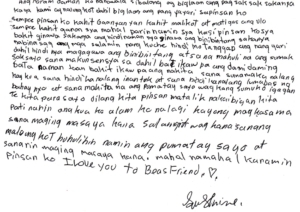 See Sunshine's letter to Dave below in Tagalog, followed by the English translation: So sudden was the stabbing and Balong (Dave) was gone. We were sad for what happened to my cousin (Sunshine considered Dave a cousin.) He was our cousin and we loved him even if he was naughty and hard-headed. Why did this happen? He did not do what they thought he had done. He did not break the car window. I could not accept that this had to happen. I hope the one who did this will be caught soon. May his conscience bother him! There were many kids around but why was it that it was you the culprit saw. 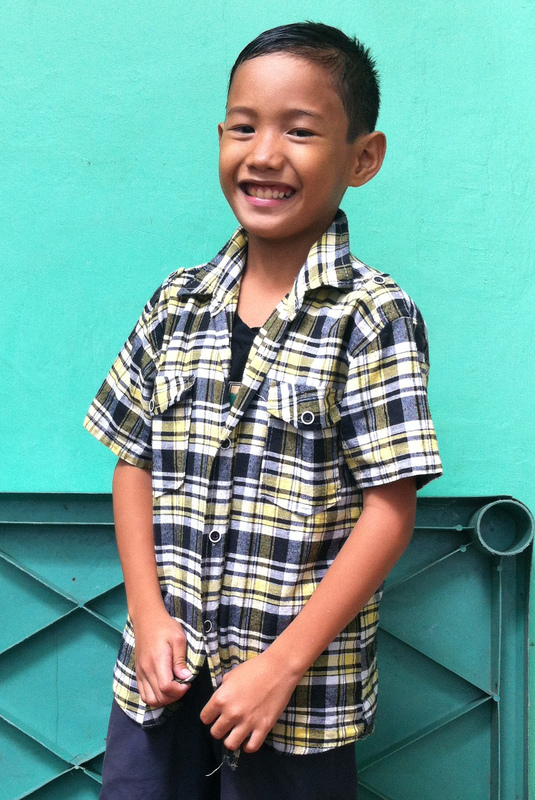 I wished you went home with Kuya (big brother Jordan.) I wished you did not feel sleepy and did not leave your house. Don’t give up. I will get even for you. You were not only a cousin, you were a good friend. 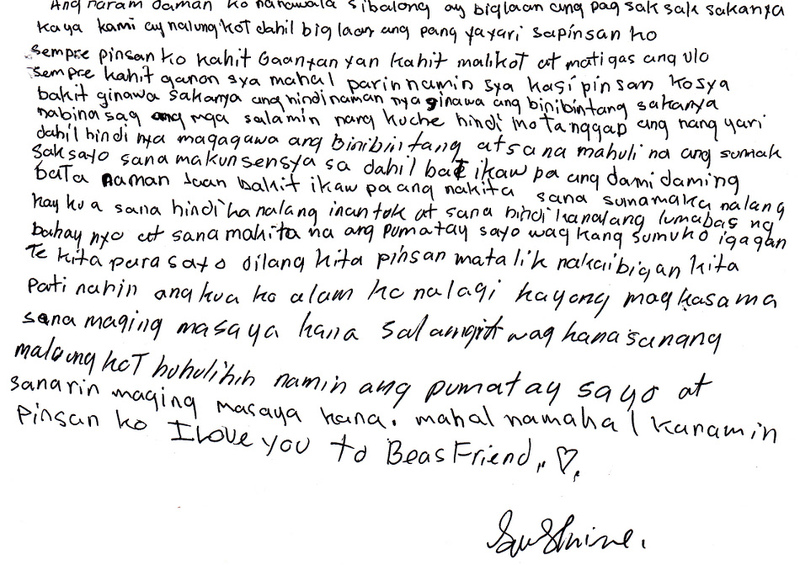 I know you and Kuya were always together. I hope you are happy in heaven. Don’t be said because we will get the one who killed you so that you will then be happy. We love you very much, cousin and best friend. Does love grow old? When Abigael Mantaine sat down to think about love for Namelok’s Fourth Annual Poetry Competition, she thought of her mother. She thought of moments she felt completely comforted and at peace, of her mother’s gentleness and protection, her advice and acceptance. The love she remembers doesn’t end with her youth. Her mother ages, becomes frail; time wears away, but her love is unchanging. Abigail fears the day she’ll lose her mother, but never has to fear losing her love. 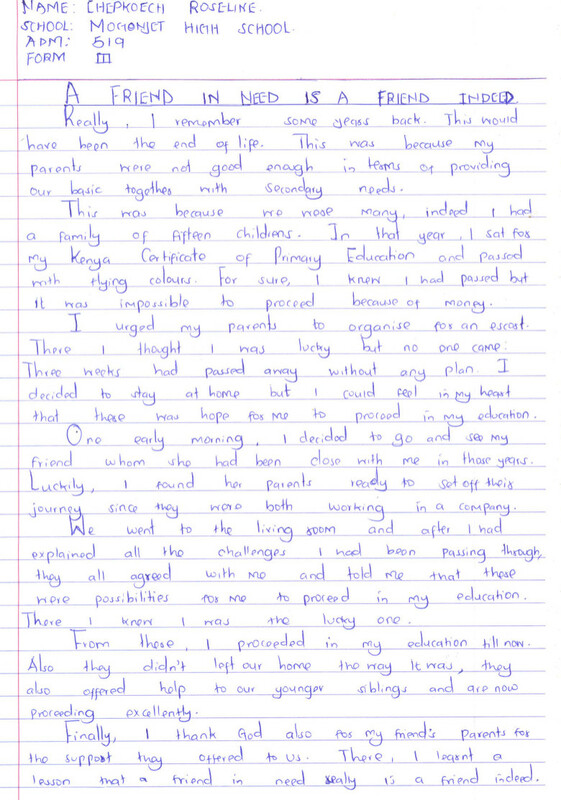 My nonprofit Lift the Lid, which supports underfunded schools and encourages the students to write, hosts annual writing and poetry competitions at each of the three schools we work with in Kenya, and at the Happy Family Children’s Village in Tanzania, the latest addition to our outreach! First place winners receive $100, $50 of which to use for their own needs and $50 to buy something needed or just plain fun for their class. We also choose a second place winner ($25) and honorable mentions. Congratulations, Abigail, on placing First!! “Love is a strong feeling that you have when you [feel] a mother’s love for her children. 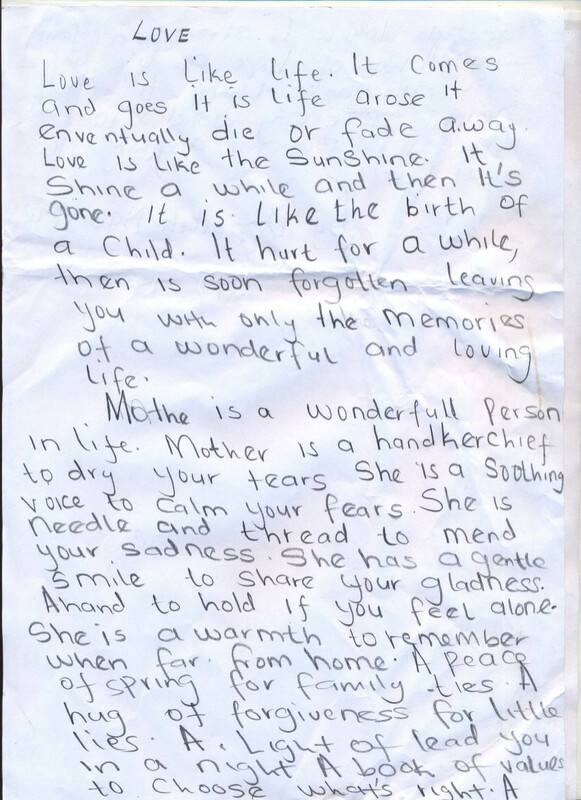 When I was a child, [my mother] would comfort me. She wiped my tears, so tenderly. As I laid my head upon her chest, this was my most peaceful rest. She sang to me so I would sleep. These precious moments are mine to keep. Her gentle touch, her caring face, there could be no other to take her place. She tried to teach me right from wrong. She always gives and never takes. Never does she criticize my mistakes. The years have quickly passed by, in her eyes the aging lies. Her skin has wrinkled, her hair turned grey. How I yearn for yesterday. She is tired, her health is poor. She sits waiting for me to walk through the door. When she is gone, my heart will die, and I will count the days till I see her again. London was home to me and my family for five years. The recent attacks feel personal, and it hurts to see the City and our friends living there terrorized. 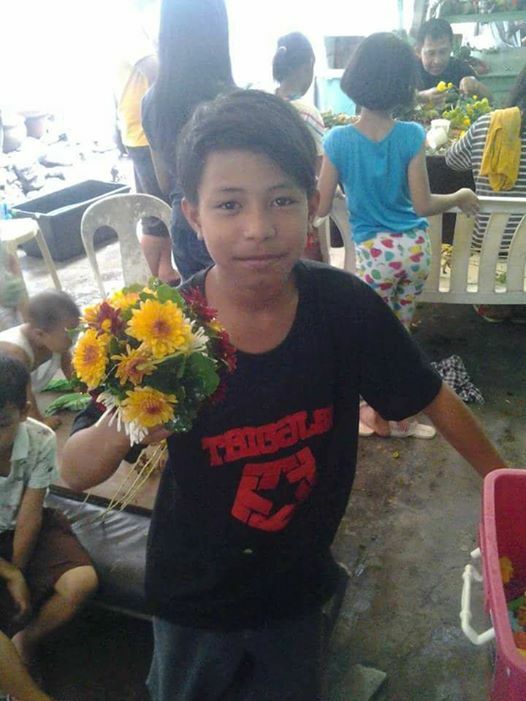 Violence in another form, though much the same, has taken the life of our student, Dave, who was murdered in his sleep on May 15th at the age of 13, soon to be 14. We can grieve. We can remember. We can embrace an ethos of determined strength and vigilant caution. And we can reach out to those who are suffering. Thank you, Pastors Torquil Allen and Richard Bowman of Frampton Park Baptist Church in London, England. 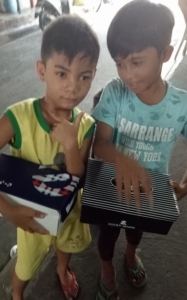 I hope it is a consolation that your donation means a great deal to the grieving students at The School in a Cart in Cubao, the Philippines. Principal Alfredo Olavidez took them shopping for school supplies, backpacks, new uniforms and shoes. The outing to the discount market reminded everyone that life will continue with happiness and hope. I was sad and angry when I learned that Balong (Dave’s term of endearment), my cousin and best friend, was gone. He did not do any harm to be stabbed helplessly. He was so young to deserve this thrill killing. There were times we cousins quarreled but misunderstandings were settled immediately after I approached him to patch up. If I did not have enough money to rent a computer to play, he would make up for the difference. Every time we ate together he saw to it that I ate first. My cousin was loving even if sometime he was hardheaded. When he served me food at his house, he did not allow me to get out until I finished my share. He forced things out and would not stop until he got what he wanted. Balong respected my parents. He helped us when there were things to move around the house. He helped babysit “Pogi” (RJ’s 1 year old brother whose pet name means handsome.) He made us cousins happy especially at times when we slept at a rooftop. He was a joker when we were lonely. However, he was serious when it come to playing a computer game or basketball. Balong was a jolly fellow. He could smile and laugh even if he had problems. If he got in trouble with somebody we, his cousins, came to his rescue. But he did not want us to get involved in any fight he got into. But if we were in trouble, he helped us even if he got beaten up. How do you measure friendship? Without sounding selfish and contrived, I think we largely value our friendships by what we get out of them. Emotional support. Mental and cultural stimulation. Work and social connections. Companionship. Laughs . . . But here’s another way of measuring friendship: by what we give. And this just might be our spiritual gain. Giving to others boosts confidence and instills a sense of purpose. So, in essence, even when we give, we get. 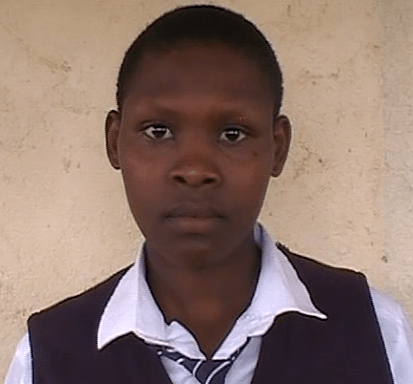 Roseline from Mogonjet Secondary School in Kericho, Kenya comes from a family of 15 children, and even though she scored high on the National Primary Exam for entrance into high school, her parents could not afford the fees. She stayed home, not giving up hope that one day she’d continue her education. 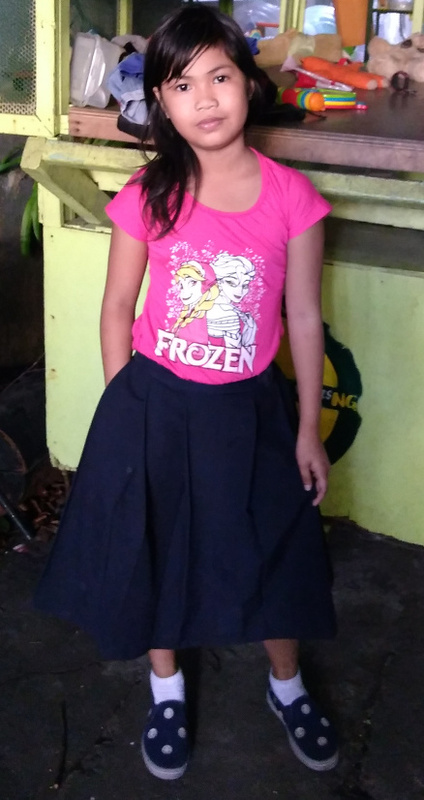 Not long after the start of school, a friend’s parents offered to cover her school fees, as well as for her younger siblings. Their show of commitment to the community and love to Roseline and her family is a perfect way to measure friendship, and I’m confident their lives will be blessed for it. 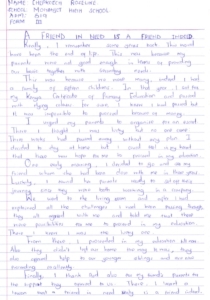 Here is Roseline’s essay, which was shared with a donor who contributed to Lift the Lid's Library Fund at Mogonjet Secondary School. Click below to enlarge the image. 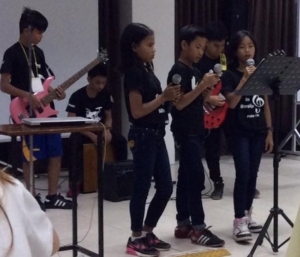 We have been working with The School in a Cart in Cubao, the Philippines since 2011, raising money for and partnering with the students to give them a healthy life, a good education, spiritual awareness, and happiness. On Happiness, the children have enjoyed many holiday and school graduation parties, but when they write about their best days, they describe the hard work they’ve put into the band we formed in 2014, The Push Cart Children’s Band. 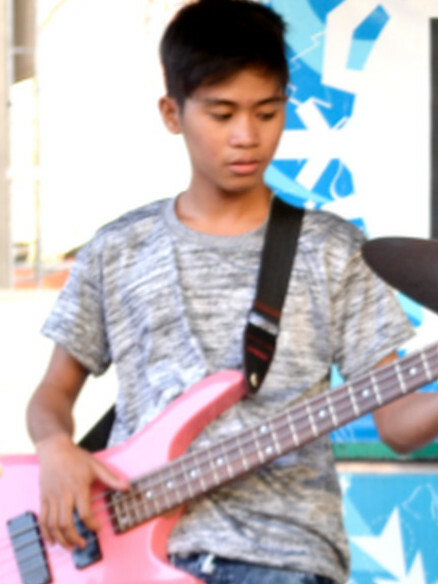 They’ve written about their fear of learning new instruments, about the times they had failed to get the notes right, the countless hours they’ve spent practicing, and their insecurities performing in front of crowds. Then they write about the applause and seeing family members watching and smiling from the audience. They write about feeling more proud than they ever thought possible. 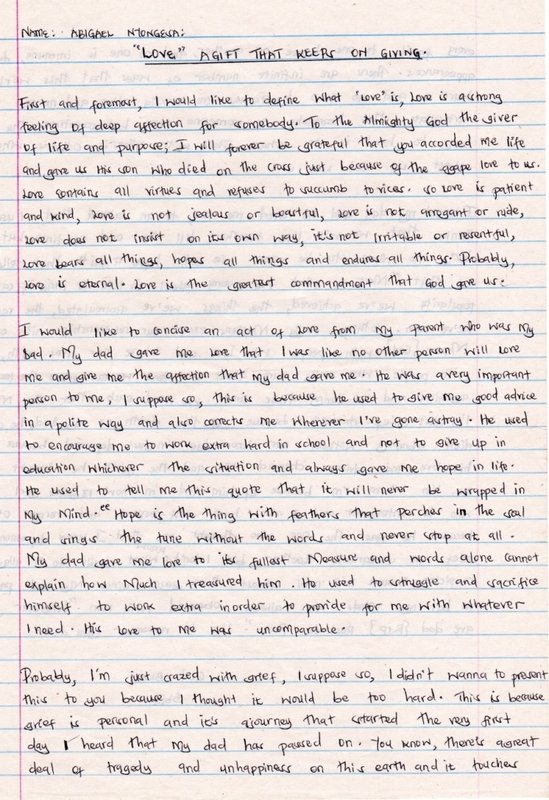 You can feel the emotion in Steven’s essay (below), as he describes in detail the first time they played at a popular shopping mall. Steven on vocals between Daniella and Carla. Recently, The Band played for a local church retreat. 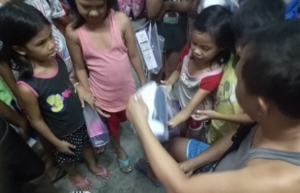 The children were invited to spend the night and partake in the fun, swimming in the hotel pool and sleeping in a proper bed! Many of them live with their families on the streets. 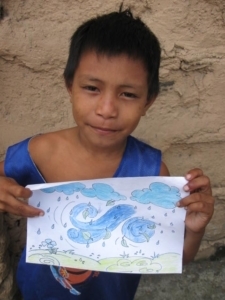 These luxuries are a big deal and will hopefully inspire them to stay on track with their education. We can provide and encourage and reward the children of The School in a Cart with happy days, but it is up to them to do the hard work, to overcome their fears and insecurities, and to step out on stage or show up for the exam when it really counts. 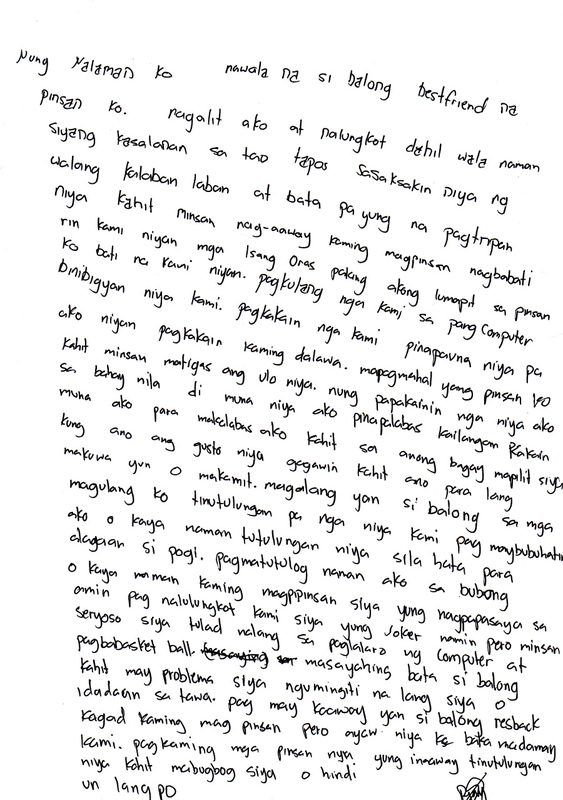 Here is Steven’s essay translated from Tagalog. His original writing follows the translation. When I joined the band, I did not how to play the guitar or the drums but when Sir (Nonie) heard my voice, I finally was in. I was happy practicing singing. Our practice became frequent. We sung at Churches, at The Lord’s Church. When Sir Iddo told us that we would play at Ali Mall, we had to practice ridgidly. On Sept 22, came the event we have been waiting for. Before we went to Ali Mall, we had another round of practice. Exactly at 5 PM we started playing. I was shy at first but when I saw my parents and brother in the audience my being shy went away. My voice was already hoarse when we sung the last song. After the performance we ate while our parents went home. That was one of the happiest days. Dalphone was born into a polygamous family, the first child. Upon her birth, her first gasp for air, social norms declared her unworthy of respect, even unlucky, because she wasn’t a he. 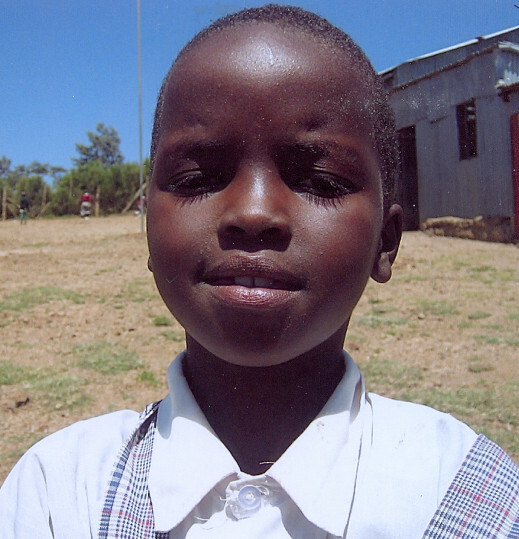 Before she could learn to walk, she learned rejection from her community and extended family. 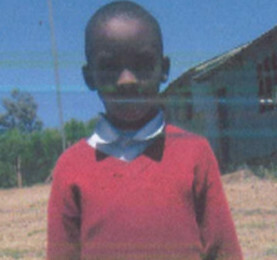 Dalphone’s parents, however, accepted her and allowed her to attend the local public school. Dalphone walked a long distance to and from her primary school, poorly dressed, poorly fed, and through the bush, where the threat of encountering wild animals was real. She writes in her essay that she’d rather be eaten then not go to school, and if she was meant to go to school then she wouldn’t be eaten. This faith gave her the courage to keep walking. 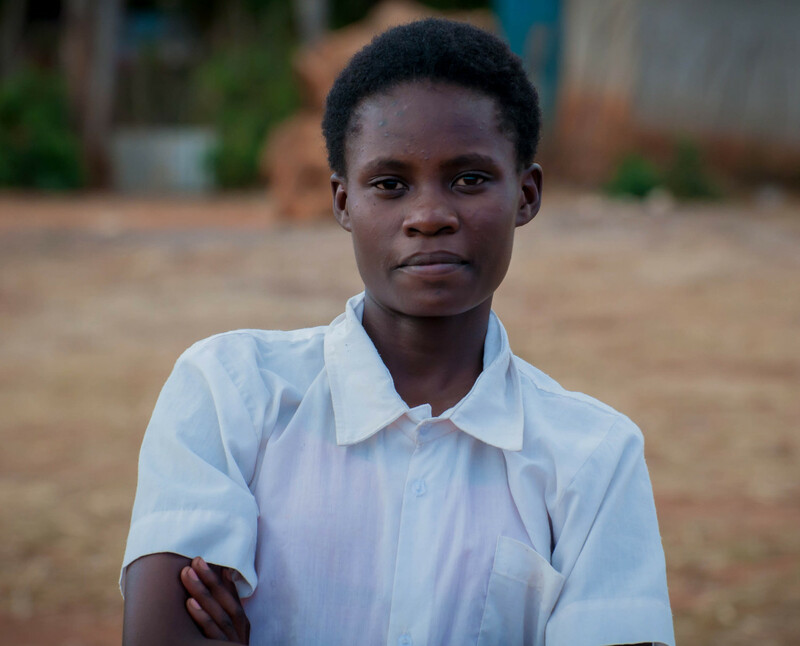 Dalphone worked hard in primary school, earning admittance into Lenana Girls’ High School in Kitale, Kenya, where she stays as a boarder, away from hurtful stigmas. 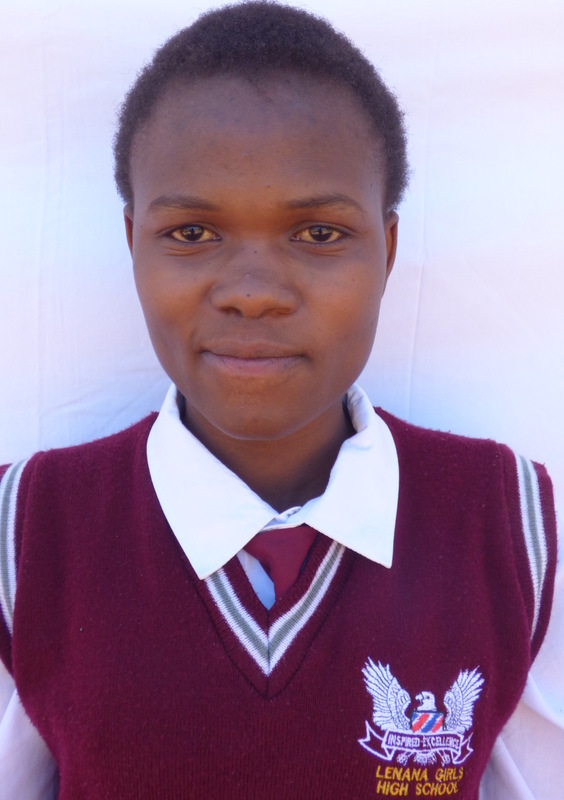 She’s in her third year at Lenana and hopes to become a journalist.